What could be more summer than sipping tasty rose’ and white wines on the beautiful deck of at Ray’s Boathouse watching the sun set over the Olympic Mountains across Puget Sound? Be part of this Seattle summer tradition by joining us at the 13th Annual Rose’ Revival and Other Cool Whites Wine Event on Thurs. June 18th! 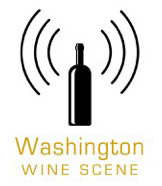 This event features a wide array of dry Washington Rose’ and interesting white wines…NO reds! Attendees will meet a variety of Northwest winemakers and taste their Rosé made in very small lots from Sangiovese, Syrah, Cab Franc, Tempranillo, Grenache, Pinot Noir! The event will also feature a wide array of delicious whites for summer, including varietals such as Semillon, Pinot Gris, Viognier, Albarino, Gruner, & Pinot Blanc, as well as wines from France, Argentina, Australia, and more. Ray’s Boathouse will provide some tasty treats to accompany.